My girls are very active, well when I can pry them off of their electronic devices that is! Hailee loves to bounce around my house, we actually don’t think she knows how to just walk. She is either hopping, skipping or running through the house. She loves to do gymnastics outside in the nice weather and inside when it is too cold out – thankfully we have very large living spaces, so lots of room! When we were offered the chance to review some of Limeapple’s activewear for girls Hailee was excited to pick out her outfit. We went online and looked through the site and wrote down ALL of the things she loved – which let me tell you was a long list. We narrowed it down to two fabulous pieces that are great for gym at school as well as any other activity she may participate in. Whether it is kart wheeling in my kitchen or doing flips out in the yard her outfit is perfect! She chose the Ruffle Y-Tank in Pink which is super soft and girly! I love the ruffles on it and the soft pink colour. She loves that it is fitting and soft on her skin as all my girls have very sensitive skin and get irritated by some clothing. I also love the neckline that it is age appropriate and the built in support (for the older or more matured girls – Hailee won’t have to worry about that for a while if she is anything like her late developing mama)! She also picked out the Asana Pant in Black. These pants are super luxurious, I wish they came in my size! They are super soft like the top and have a great stretch to them. The waist band is amazing as it has a hidden pocket in it. I love that they are pre-shrunk as I wash everything in hot water so many times the clothes we buy end up shrinking on us a bit over time but these didn’t shrink at all. 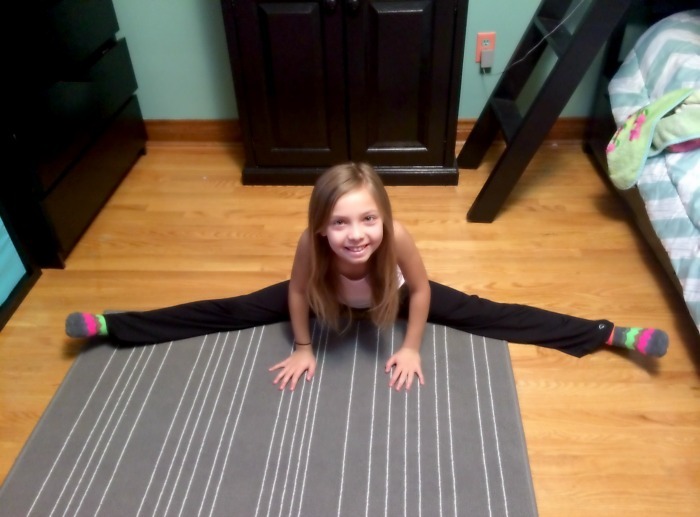 Hailee loves that she can do all her splits in these super stretchy pants and it is the only pair she puts in her bag to take for gym class at school! 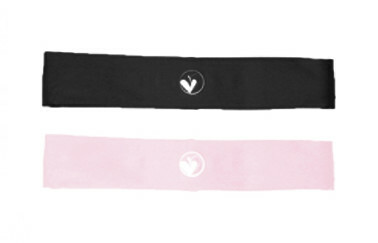 She also chose some of Limeapple’s amazing 2-piece Headband sets and they are awesome. I will admit I often “borrow” them for myself when she isn’t wearing one to keep my bangs out of my face while working on the blog or playing with Bella. They have a great built-in gripper prevents the headband from slipping and unlike many other brands I have bought the gripper on Limeapple’s headbands actually works, even on Hailee’s fine thin hair! Of course I couldn’t forget the tiniest active member of our family – Bella! She is a moving machine lately and much like her older sisters she loves to be comfy while playing! 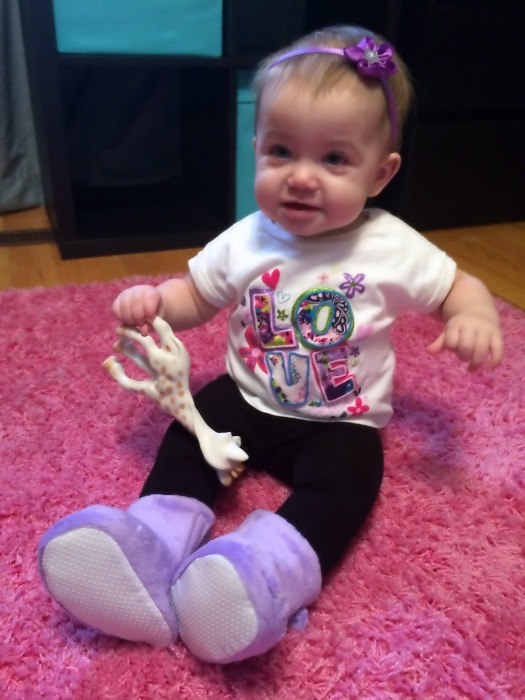 I picked out their Baby Leggings which are made to move extra comfortably with every move our little Bella makes. With their four-way stretch Bella has maximum comfort when playing and exploring her world. The smooth and flat waistband is comfortable and won’t dig in to her body which is just awesome. Nothing worse then taking off clothing and seeing marks all over your little one! I also grabbed Limeapple’s super adorable Bubble Baby Booties. I am not sure if your little one’s feet are like Bella’s but getting her in shoes is near impossible. She curls up her feet and the shoes just don’t go on so needless to say when we go out in these cooler temps she needs something to keep her feet cozy and warm. 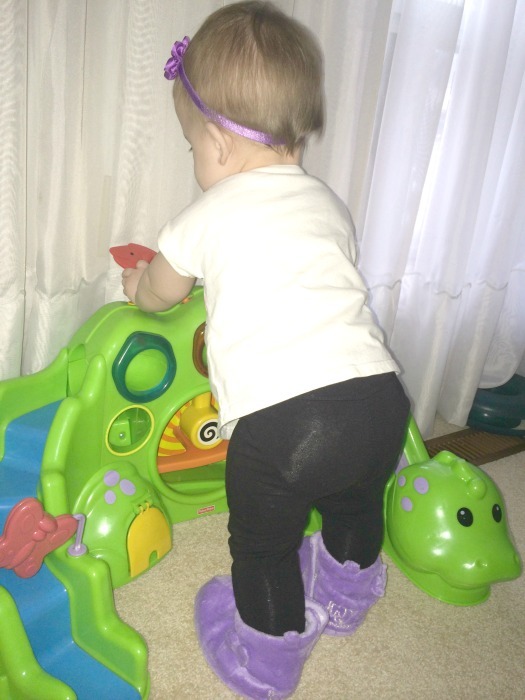 They have such a comfortable & soft bubble fabric and the soft white sole with rubberized grip is perfect for my little mover who is now pulling up to stand at everything so she doesn’t slip and hurt herself. Limeapple is having an amazing promotion in December – The 12 Days of Christmas! They will be offering a new promotion each day from December 1 – 12, 2014. 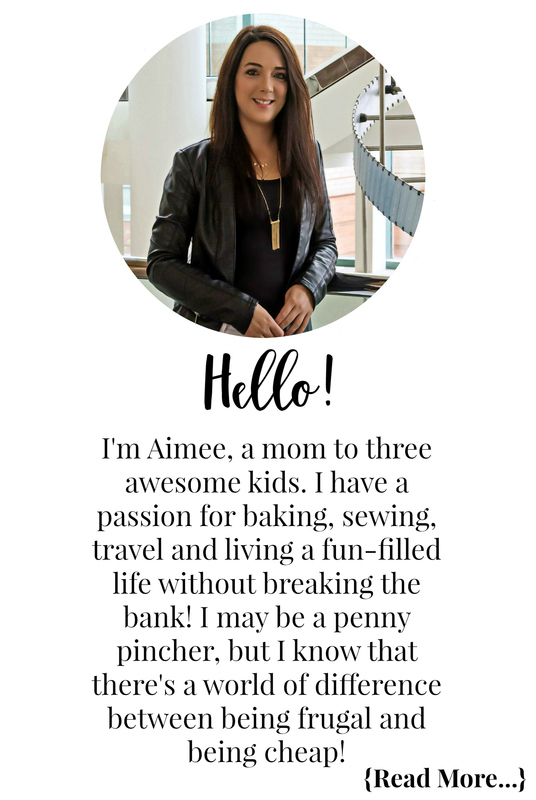 Limeapple has generously provided a giveaway for Extreme Couponing Mom readers! Enter below for your chance to win a Limeapple Bubble Hoodie! These look so comfy! I would to try some for my little girl! I love the avril dress! LOVE LOVE these outfits – and a hidden waistband to put in lip balm – what a fantastic idea!! I can imagine how big the list was for your girls 🙂 these outfits are gorgeous and they look great! I really like the LimeApple pieces you’re featuring. The Asana pants would be perfect for my active daughter!! i was just looking into activewear for my little one as we decided to take a mommy and me workout class (I workout, she plays, pretty much). This would be perfect for her!! I can’t wait to tell my tween cousin about this brand. It’s right up her alley! Do they come in adult sizes?? WOW they look so comfy!! I can’t wait to get DD3 a pair!! Those booties are awesome! I love the Bubble Baby Line – Hoodie, Leggings and Booties, as and outfit for my little god daughter (Christmas pressies ideas binging!!). 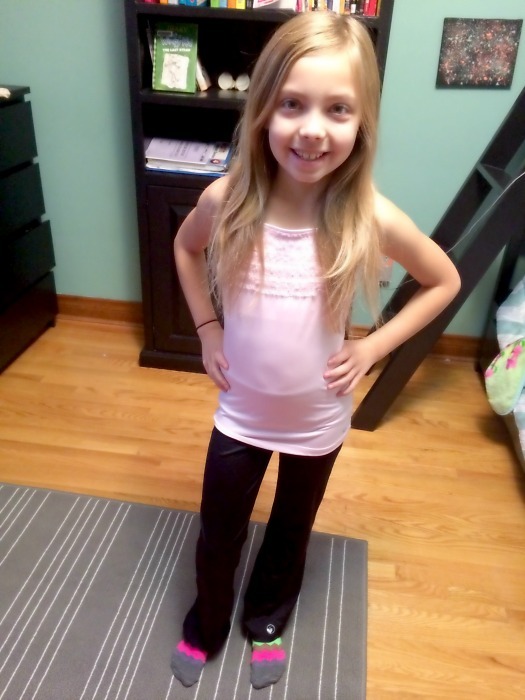 My favorite piece of clothing would be the Asana Pants – they would be great for my granddaughter! Much more affordable than a certain other girls athletic retailer! Love the invincible cross back tank! I like the Alayna Dress. Those clothes look so comfy- I’m sure my girls would love them! I love the “bubble” items and noticed that they have them for all ages – baby through teen. Love the fun colours! I like the Minky Hearts Bubble Hoodie. The Bubble Jacket, Bubble Hoodies, and Bubble Capris are my favourite Limeapple products – my daughter loves them too! I like the Cuddle Bubble Hoodie and can’t believe how many colours it comes in! 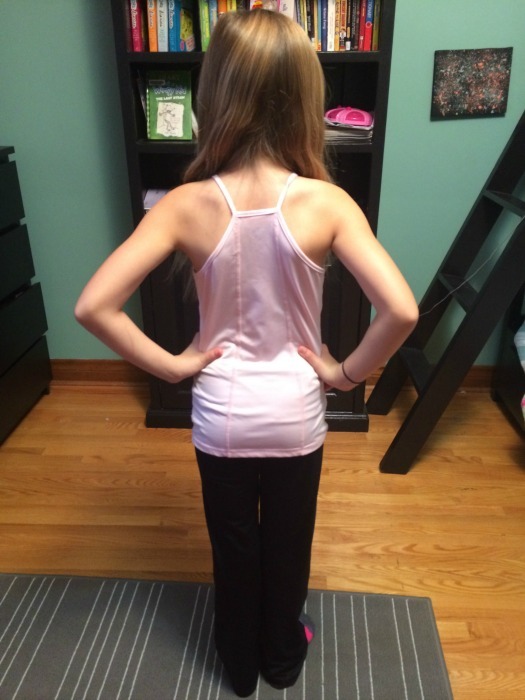 asana pants, my 7 year old lives in comfy pants. No jeans allowed in her wardrobe. I like the ruffled jacket. want to try those baby leggings! !